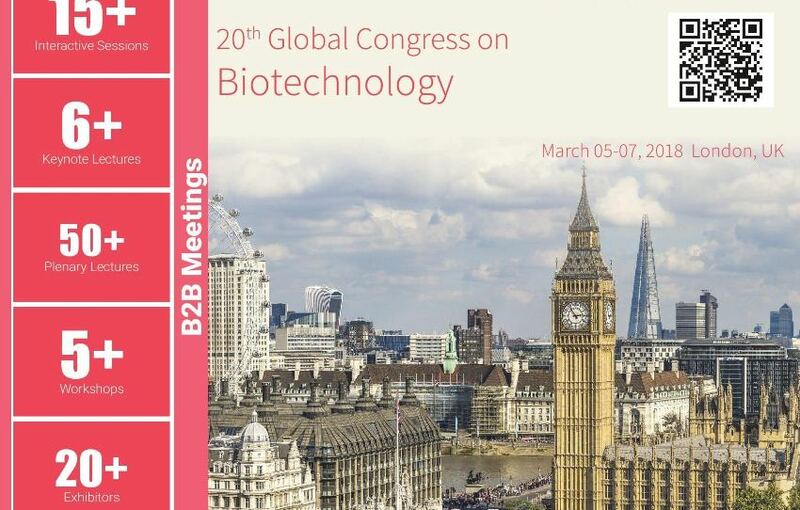 Biotech Congress 2018 aims to bring together the Professors, Researchers, scientists, business giants, and technocrats to provide an international forum for the dissemination of original research results, new ideas and practical development, and to discover advances in the field of biotechnology, management, and education in relation to biotechnology as well as a breadth of other topics. This biotech meeting creates a platform for Policy-makers, Scientists, representatives, and decision makers in biotechnology to present their latest biotech research and learn about all the important developments in biotechnology research. The applications of biotechnology include therapeutics, diagnostics, genetically modified crops for agriculture, processed food, bioremediation, waste treatment, and energy production.